Hello, and welcome back to our blog here at Comfort Solutions Heating & Air. This is part two of our blog series about summer air conditioning tips for your Oklahoma City home. Last time, we covered several things including inspecting filters, keeping the AC unit in the shade, closing curtains, and reversing fan direction. Keep reading to learn more about some helpful air conditioning tips this summer. If you have any questions about your air conditioning, need repairs, maintenance, or an entire system replacement, please contact Comfort Solutions Heating & Air today. We are your Top Rated Local® HVAC company in Oklahoma City and the surrounding area. Replacing or repairing your windows is one of the best ways to save money on your energy bills this summer. Whenever you get some free time, go throughout your home and inspect each window. Look for any cracks, water damage, or loose panels. If it’s windy out and you notice your windows buzzing or moaning, it may be time to have them repaired or replaced. One way to save money on energy bills this summer is to simply avoid heat production within the home. There are many things in your home that give off heat like the stove, oven, shower, and washer and dryer. Certain light bulbs like incandescents produce a lot of heat too. This type of bulb releases 90 percent of its energy as heat rather than light, so any chance you can get to turn them off will reduce heat. Some electronics like desktop computers use a lot of electricity and will transfer a lot of that to heat. Be sure to turn computers off when you’re not using them. The best way to reduce heat within your home is to simply create an energy plan. Try to limit laundry to one load a week, take fewer showers, and use the microwave instead of the oven or stove. If you still want to cook, use a grill outdoors. 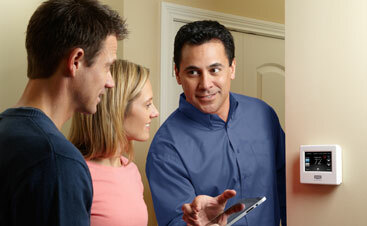 For many homeowners, the programmable thermostat is a hugely beneficial investment. If you’re a busy bee and you’re always coming and going, you don’t want to have to worry about constantly turning on the AC the second you come in the door. If your schedule is predictable, a thermostat will turn on the cool the second you get in the door thus saving you time and money. 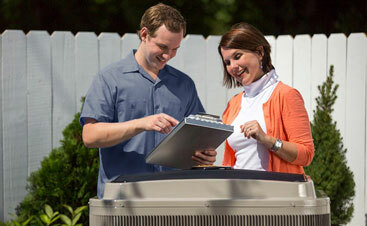 Air conditioning is a huge frustration for many homeowners across the United States. But it doesn’t have to be this way. 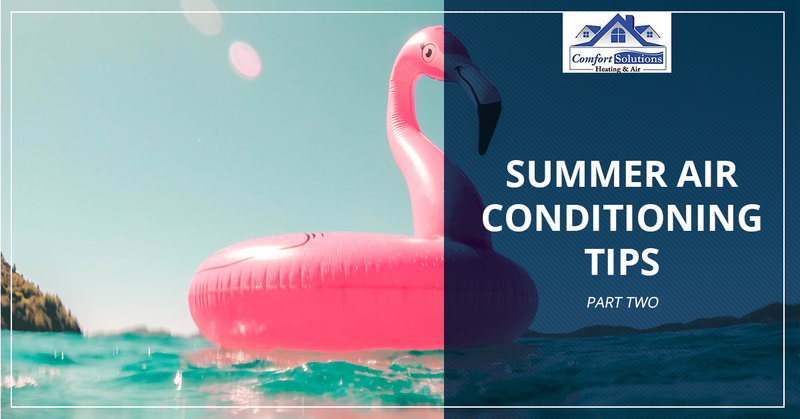 If you follow a few of these tips and speak with a qualified air conditioner technician at Comfort Solutions Heating & Air about repairing or replacing your system, all that will be left to do is enjoy your summer. If you have any questions or you’re ready to schedule a system inspection in Oklahoma City, Norman, Lawton, or Duncan, don’t hesitate to contact us today.